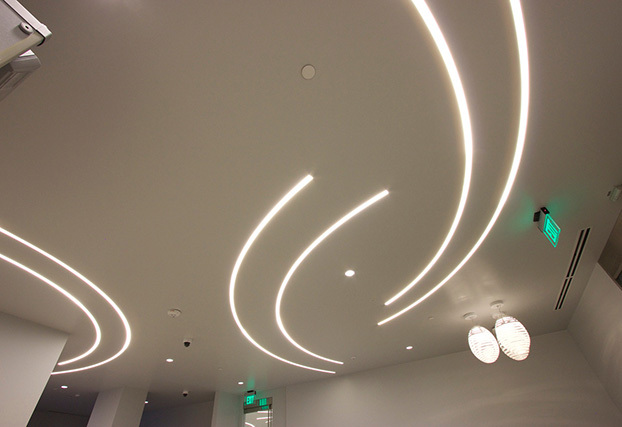 At VoksLyte™ we have always been fascinated with the beauty of curved illuminated forms. 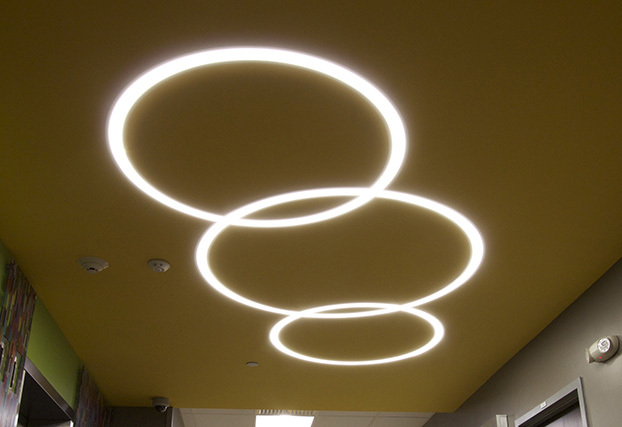 Tangent Down™ customizable lighting contours are factory made to almost any curvature or length...circles, ellipses, freeform curves, curvilinear, seamlessly intersecting designs and of course straight. 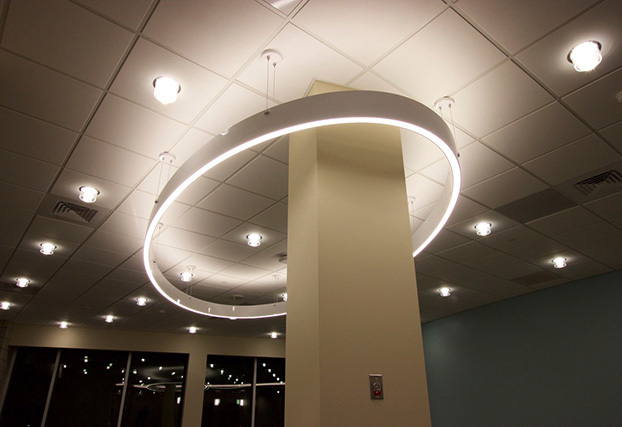 Our luminaires are completely custom, no need to select from a limited family of curvatures or shapes. VoksLyte™ will manufacture exactly to your design. Let your imagination be your guide. 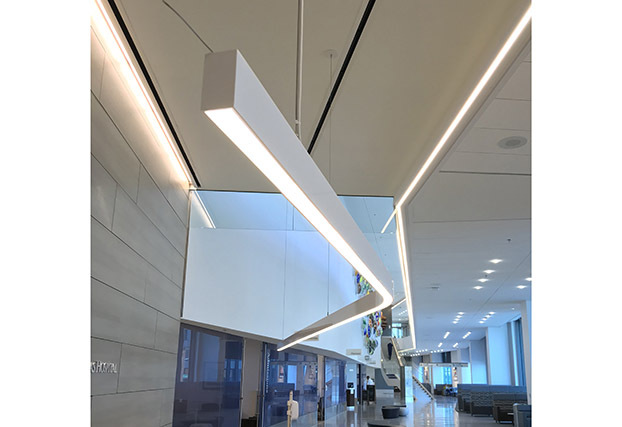 These beautiful sculptural luminaires can be supplied either in a direct-indirect (Tangent UpDown™) model, which may be pendant or wall mounted, or in a direct (Tangent Down™) model which may be recessed mounted, pendant, or surface mounted. 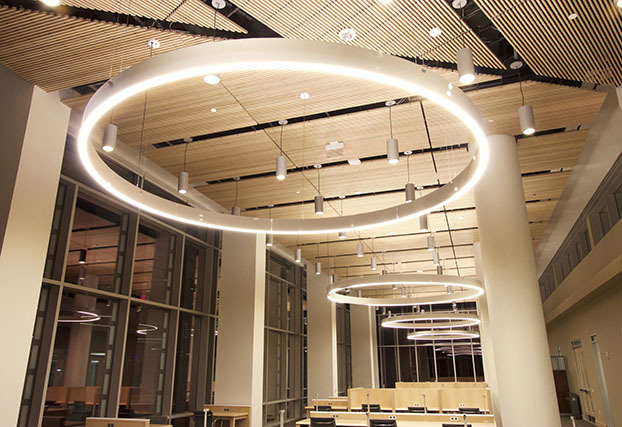 The discreet 2-inch wide luminaires provide phenomenal lighting performance and have been designed to sturdily and seamlessly link together to form beautiful continuous shapes. Finish options are almost infinite. 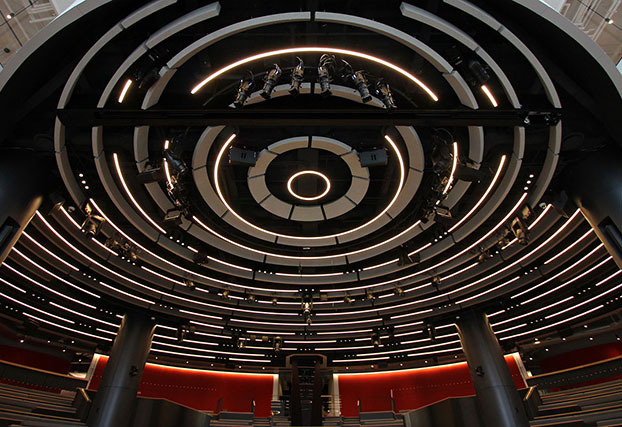 Light engine options are either standard-output or high-output 50,000-hour CREE LED in four high-efficacy Kelvin temperatures from 2700ºK to 4000ºK, as well as RGBW and variable white. Made in the USA, UL listed for US and cUL listed for Canada. Our products are distributed through a team of international sales representatives located across the globe. 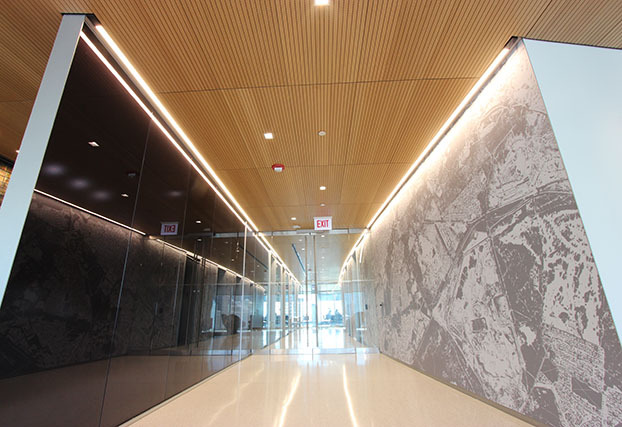 Project: University of Kansas Hospital, Kansas City, KS / Lighting Design: Lightworks Inc.
Utilizing the latest LED technology VoksLyte™ produces the highest quality most thoughtfully designed nontraditional luminiares available LED Luminaries custom designed for indoor, outdoor, wall, ceiling and pendant applications. 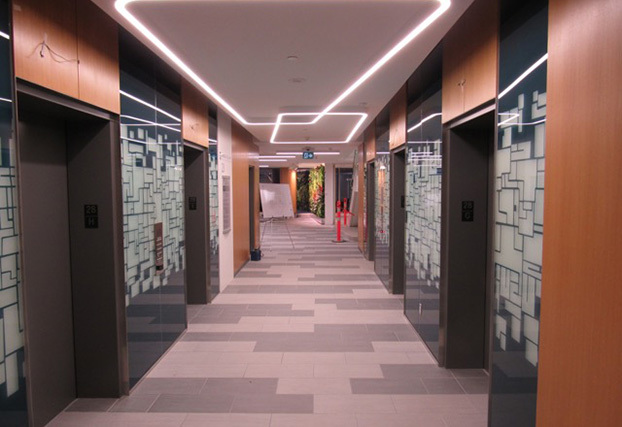 Energy efficient LED luminaries. 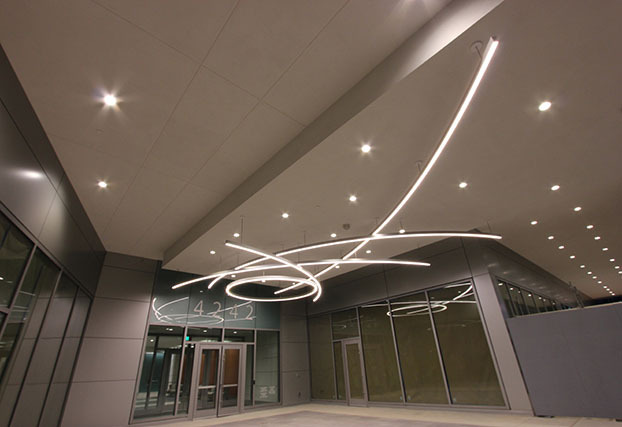 Tangent Down™ - Customizable lighting contours are factory made to almost any curvature or length...circles, ellipses, freeform curves, curvilinear, seamlessly intersecting designs and of course straight. May be made as a pendant, surface mounted, trimless recess mounted or external flange recess mounted. May be painted in any commercially commercially available powder coat finish. 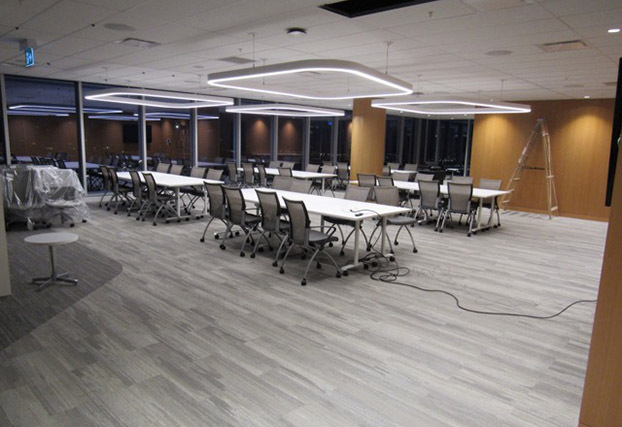 LED color options: Static white, RGBW and Variable white. 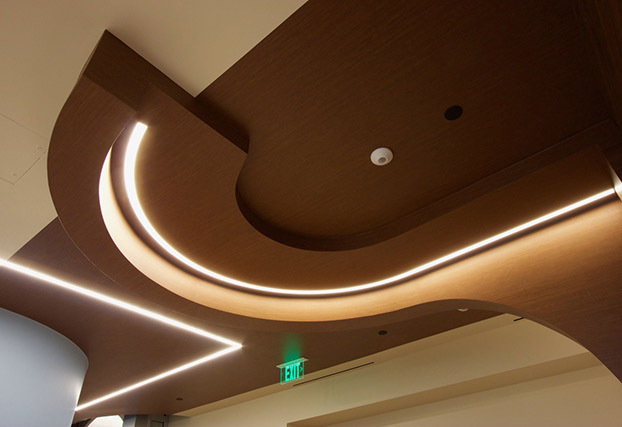 Tangent UpDown™ - Beautiful direct-indirect sculptural luminaires can be supplied either in pendant or wall mounted designs, and may be made to almost any curvature or length...circles, ellipses, freeform curves, curvilinear, seamlessly intersecting designs and of course straight. May be painted in any commercially commercially available powder coat finish. 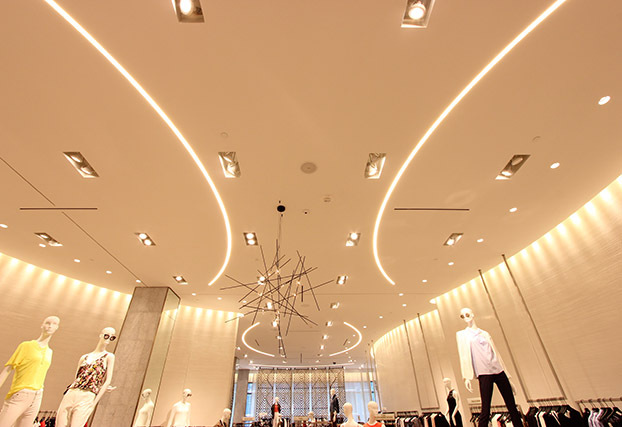 LED color options: Static white, RGBW and Variable white. Separate control / color color options for the direct and indirect light engines may be selected.